Friday 23rd June hosted the start of the singles competitions at the 2017 Pan American Junior Championships, and spectators in Buenos Aires were treated to an entertaining show throughout the day as the qualifying group stage for the Junior Girls' Singles event took place. Hidalynn Zapata of Guatemala put in an impressive performance in her group, as she qualified for the next stage of the competition. Claiming top spot Hidalynn Zapata saw off all three of her opponents including the highest ranked player in the group Tamyres Fukase, beating the Brazilian competitor across five games (7-11, 11-8, 5-11, 11-6, 11-6). The other Guatemalan to seal first position in the group stage was Lucia Cordero, who registered straight games triumphs over Paraguay’s Cielo Mutti (11-3, 11-6, 11-6) and Maira Vega of Mexico (11-3, 11-9, 11-5) to progress. Two competitors from the Dominican Republic also achieved similar feats, as Cinthya Sanchez and Esmerlyn Castro topped their respective groups. Entering the group as the number four player Cinthya Sanchez opened her account with a deciding end victory over Mexican rival Lourdes Gutierrez (5-11, 11-6, 11-9, 7-11, 11-6) before claiming subsequent successes against Argentina’s Aldana Gonzalez (11-8, 11-8, 11-9) and Andrea Guzman of Peru (6-11, 11-9, 11-2, 12-14, 11-5). Esmerlyn Castro also finished top of her group, but it was achieved by the closest of margins as she narrowly edged over the finish line with a superior points ratio compared to Candela Perez and Paola Cedeño. 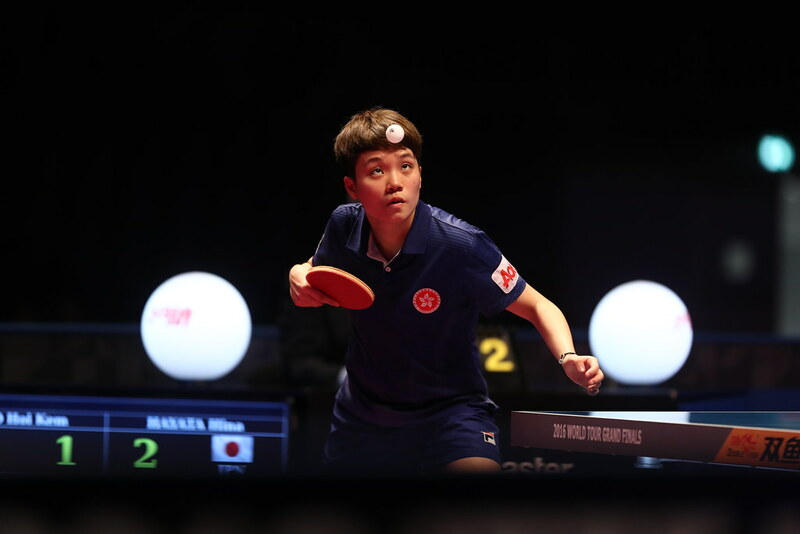 The two Canadian representatives taking part in the group stage came through their matches without too many problems as both Justina Yeung and Joyce Xu claimed top spot in their respective groups, while the sole USA contestant competing in the group stage Grace Yang also prevailed. Argentina the host nation didn’t enjoy the best of days in the category, but there was a positive display from one player in particular as Camila Kaizoji picked up three group victories to seal a first place finish in Group 8.